The promise of a connected home might be getting a bit complicated for the average consumer to actually implement. A new study from Parks Associates reports that more than 20% of U.S. broadband households have chosen to subscribe to a technical support service. 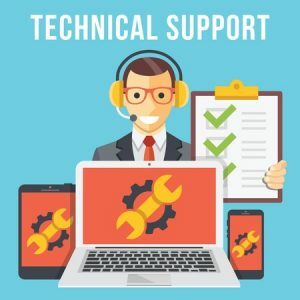 More consumers contact the device manufacturer for help with resolving technical problems than any other support provider type. A reliance on retailers for professional smart home support has increased 50% since 2015. Consumers who report a preference for setting up their devices themselves increased from 33% in 2015 to 49% in 2017. Not surprisingly, the number one device for a tech support subscription, an extended warranty protection plan or a combination of both was a smartphone. This was followed, in order, by smart watches, laptops, flat panel TVs, and home network routers. Currently, Best Buy is the leading provider of tech support subscriptions. Amazon has opted to enter this business and offer a range of smart home technical support services. This will undoubtedly shake things up for Best Buy and the subscription support services offered by the largest cellular service providers. This new business opportunity is being driven by the rapid release of products into the connected home market coupled with constantly changing performance specs for wireless technology. Manufacturers should take note — the reality is that setting up and connecting many smart home devices is anything but simple.